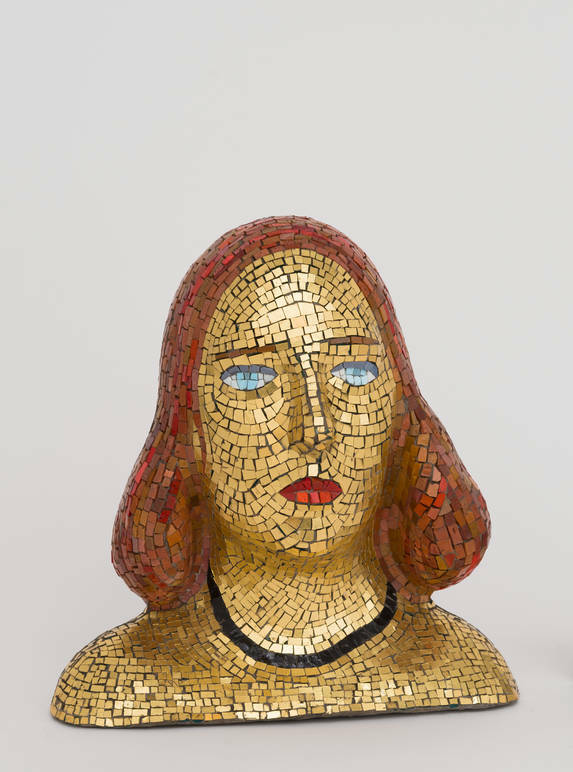 To better appreciate the Fontana retrospective at the Met Breuer, it is necessary to contextualize the Argentinian-Italian artist’s work within his broader research and vision. 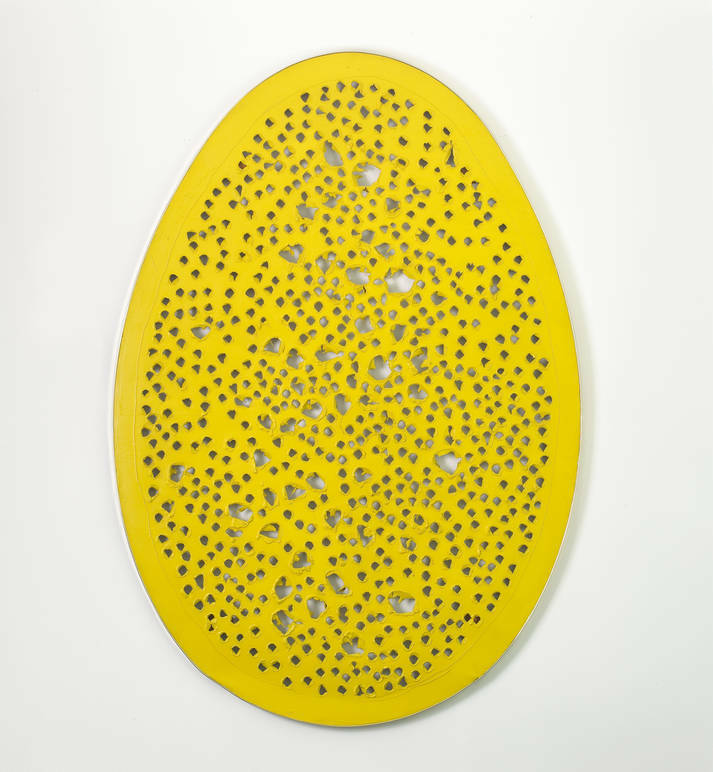 I still remember when in 2007 the Solomon R. Guggenheim Museum presented Lucio Fontana: Venice/New York, the first major exhibition devoted to the artist in the United States since the museum’s 1977 retrospective. 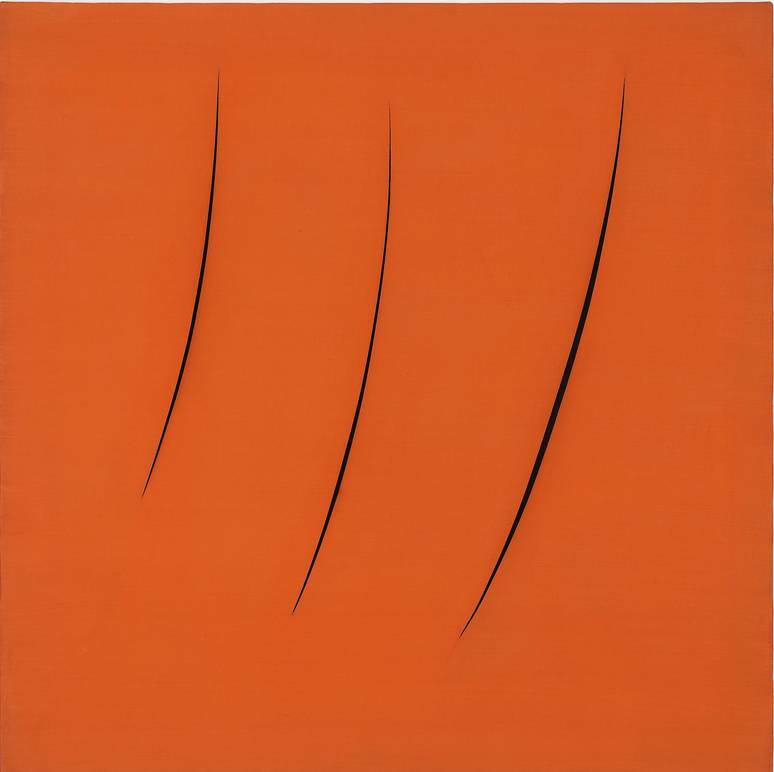 It was a small exhibition that included 49 works and brought together two important series from 1961: Fontana’s Venice paintings and his New York series of metals, presented together for the first time. 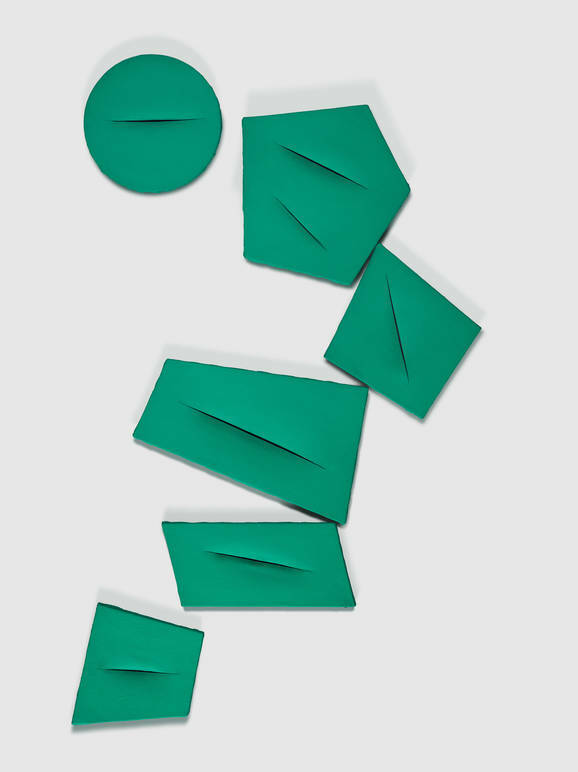 It was organized under the auspices of the Milan-based Fondazione Lucio Fontana and was the most comprehensive presentation of Fontana’s work from that period. Critics back then wrote really nasty things about it, calling him a “decorator” rather than an artist. 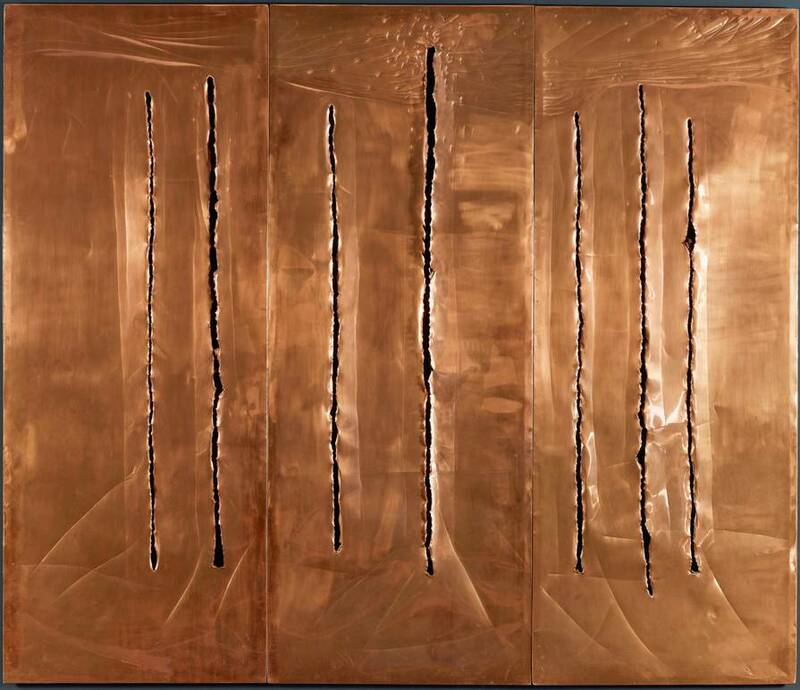 The retrospective “Lucio Fontana: On the Threshold,” curated by Iria Candela and Emily Brown, on view at the Met Breuer through April 14, is much larger and stratified, though I find some of the choices, including the display, questionable. One of the intentions is to give the artist more recognition, as stated in articles by the New York Times and the Washington Post, but that’s not quite enough. In my opinion, we will never understand this artist’s mission if we don’t contextualize it within his research and his vision. And I can say this because I was the co-curator with Matthew Gale of the exhibition about Fontana at the Tate Modern in London. Therefore, I would like to put forward some preliminary notions about Italian Art History and about some of Fontana’s writings. In the first half of the 20th century, Italian artists began to investigate matter not as a static decorative element, but as a living, organic element, which, through its interactions, creates a “unicum” that is neither painting nor sculpture. At the same time, in 1912 Picasso was conducting parallel studies in France, and had started introducing extra-pictorial materials in his paintings. In Italy at that time, Futurism had just been founded. When talking about this avant-garde movement (do you remember the beautiful exhibition at Guggenheim a few years ago? ), we must keep in mind a clear distinction between Futurism as an artistic phenomenon with political elements, and Futurism as a cultural and political movement whose theories changed the aesthetics of the 19th century. It was not a sudden change, but rather a gradual one born from a need within the movement itself, a clarification slowly brought to the consciousness of its protagonists. The words of Albert Einstein, the father of relativism, are significant in this regard: "If what we contemplate and experience is shaped by the language of logic, we practice science, if it is mediated by forms whose links are inaccessible to conscious thought, even if intuitively recognizable as meaningful, we practice art." 1949 marked a turning point in Fontana’s career. During this year, he created the ‘Buchi’ (holes), his first series of paintings in which he punctured the canvas, and his first Spatial Environment, a combination of shapeless sculptures, fluorescent paintings, and black lights to be viewed in a dark room. In his last interview in 1968, released just a few months before his death, Fontana explained that not only did he strongly believed in Futurism but he considered it the most important avant-garde movement. However, in his ‘Manifiesto Blanco’ (1946), we can see echoes of the Concrete and Neo-Constructivist movements that were active in Buenos Aires in the 40s, as well as Kinetic and Luminist components. All of Fontana’s artistic stages are always present in this effort to obtain "art based on the unity of time and space. The sound and the movement that develop over time and in space are the fundamental forms of this new art, which contains the four dimensions of existence." The first act for "the development of tetradimensional art" is the recognition that "the materialism established in all consciences requires an art possessing its own values, far from the representations that today constitute a farce." "It is not true that I was puncturing to break the picture, no, I punctured to find it," said Fontana who, I would add, was trying to discover an unknown dimension in the cosmos. Hence, for Fontana there isn’t a spatial painting or sculpture, but only a spatial concept of art. This is the idea behind his works titled ‘Spatial Concept’. There is in his works a sort of invisible halo between the object and the action, between relative motion and absolute motion, between the visible and the invisible, between the painting and its cosmic projection, where the shape does not contain the infinite, but it is the passage, the gap, the flow of free movement. Later, he resumed his studies on sculpture, linked to his experience with his father, a sculptor, but which took on another value for him. I think that the best part of the exhibition is the Sculptures Room, which is so vivid, so impressive, though not well displayed. I would suggest facing every single artwork in the exhibition and trying to enter into their dimension. You will be surprised.